Recently LankaBangla Finance Limited started its operation from its new branch at Omar Ali Plaza (Level – 3), Holding No. 309, Ward No. 30, Mymensingh Road, Kolomeshor, National University, Board Bazar, Gazipur, Dhaka – 1704, Bangladesh. 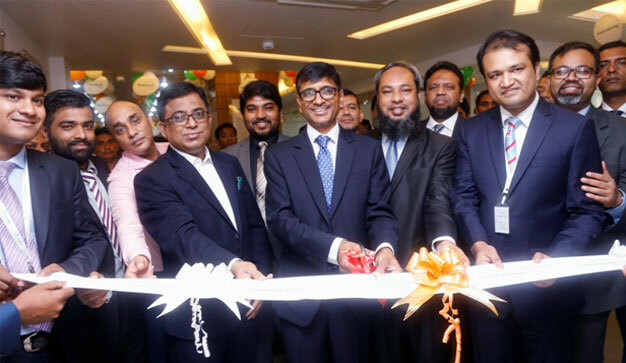 LankaBangla Finance’s Board Bazar-Gazipur Branch started its journey as 21st branch among the other nationwide operated branches. To provide standard products and quality services for the local peoples’ requirement is the main objective of this branch.